I had the chance to visit the Kennedy Space Center December 3 to see my brother’s experiment, the Packed Bed Reactor or PBRE, launch aboard a United Launch Alliance (ULA) Atlas V rocket. Along with sending the ISS (International Space Station) 7,700 pounds of needed supplies, there were many other experiments along with Dr. Brian Motil’s. The Packed Bed Reactor Experiment (PBRE) studies the behavior of gases and liquids when they flow simultaneously through a column filled with fixed porous media. The porous media or “packing” can be made of different shapes and materials and are used widely in chemical engineering as a means to enhance the contact between two immiscible fluid phases (e.g., liquid-gas, water-oil, etc.). Packed columns can serve as reactors, scrubbers, strippers, etc. in systems where efficient interphase contact is desired, both on Earth and in space. 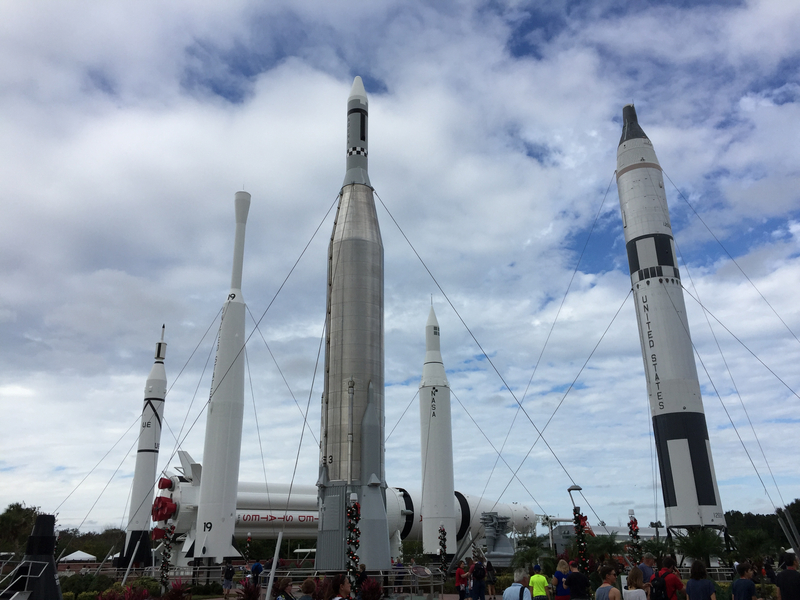 With an expected launch time of 5:55ET, we spent the day viewing past launch vehicles in the Rocket Garden, including Juno, which was used to launch NASA’s first satellites, Titan II, which was used for 12 Gemini missions and Saturn 1B, the rocket used to orbit the moon. 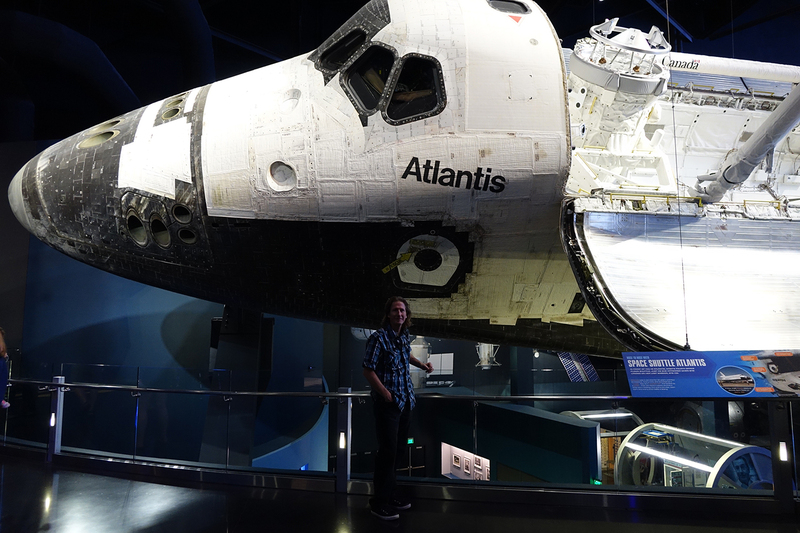 We followed that up with an up close encounter with the Space Shuttle Atlantis and the 3-D IMAX movie “Journey to Space”, narrated by Sir Patrick Stewart (Jean-Luc!). Unfortunately, as the launch time approached, so did the rain. Constantly watching our radar apps, we patiently waiting in line for 2 hours before boarding the shuttle that takes the 15 minute ride to the Apollo/Saturn V Center. Once there, the rain increased and we knew the inevitable was just around the corner. As the viewers streamed in, bus after packed bus, we made the call at 5:30 to grab a bus back so as to avoid the return 2 hours wait time. It was a wise decision because the launch was scrubbed for that day. Not until December 6, at 4:44ET did the launch proceed. And it was a fantastic, successful one at that. Even though I watched it on NASATV, I still felt the excitement and power of the Atlas V rocket, which delivers more than 860,000 lbs of liftoff thrust. 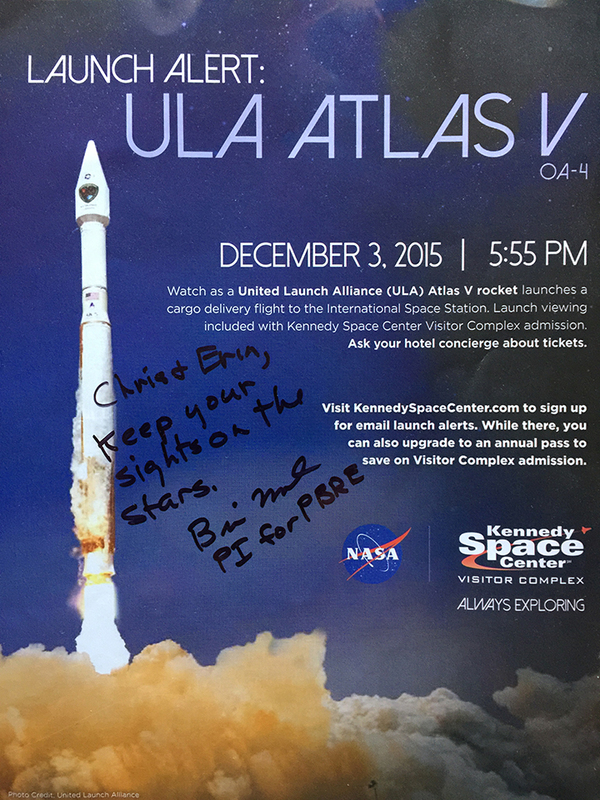 Brian’s experiment successfully made its way to the ISS and now awaits deployment. I’ll follow up with a post once that’s accomplished. Update: PBRE has deployed May 31 – check it out. 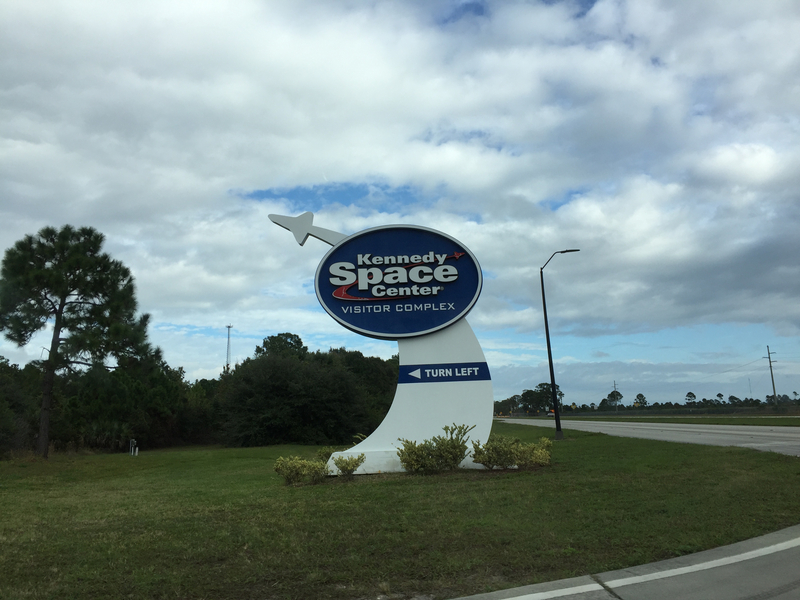 If you have a chance, check out the Kennedy Space Center. It’s well worth your trip. At least I got a signed poster!